We are diversity recruiting experts. The Good Search offers deep expertise in board and senior executive diversity recruiting initiatives. Moreover, as a woman-owned search firm, we have lived diversity. We are executive feminists and humanists. (The Good Search has been named one of the Top 50 Connecticut Woman-Owned businesses on numerous occasions.) As an executive search practice, we support the United State of Women. No matter what race, ethnicity, or gender, we wake up, flawless. As diversity recruiters, The Good Search offers diversity recruiting that is simply more evolved. The Good Search has innovated a next-generation approach to diversity talent acquisition at the executive level. A form of next generation executive search, we harness the power of data and actionable intelligence to make the process smarter and to yield better results. The Good Search offers senior executive diversity talent pools, diverse talent pipelines, and diversity benchmarking services. We shine a light on star diverse executive talent that other firms miss. Our diversity talent acquisition services are designed to ensure inclusion of diverse executives and technologists for corporate executive recruiting and diversity recruitment efforts. Better yet, our diversity recruiting services deliver an added benefit. Our diversity engagements demonstrate our clients’ they proactive commitment to diversity. Proactive diversity initiatives foster goodwill as they give added lift to diversity talent acquisition efforts. In the United States, The Good Search partners with employers to boost inclusion of diverse executives in the EEOC categories of African-American, Black, Asian, Hispanic, Latino, Native American, Pacific Islanders, American Indian or Alaskan Native. We also boost inclusion of women executives. In every country, gender is the one diversity category that is universal. Women are under-represented at the senior executive level around world. The Good Search partners with employers to level the playing field. Structural issues makes it hard for companies to recruit diverse executive talent. To start, many diverse executives do not self-identify. Understandably, many would rather avoid the risk of discrimination or becoming a token hire. In addition, employee referrals often make matters worse. Candidates hired through employee referral often look and act a lot like the employee who referred them. So predominantly white, male corporate cultures tend to perpetuate more of the same. The utter irony is these two structural issues get in the way of great diverse executives and great employers that want to be more diverse from finding one another. Though they are each seeking what the other has — they are not on each other’s radar. Much like a Venn Diagram, the circles do not overlap. To be successful diversity recruiters must recruit differently. Historically, diversity executive search firms have built their practices on diverse communities, cultivating relationships within those networks. While that is a valid approach, there’s a limit to the number of meaningful relationships any one of of us can have. The limit, known as Dunbar’s Number, is right around 150. The solution lies in reaching beyond your network to access senior executives and technologists that are not within your circle’s circle of colleagues. To get real lift in diversity talent acquisition, you need to reach beyond one’s own network to uncover top talent others miss. We live in the Age of Data and therein lies the key. By harnessing that power of information, we make diversity talent acquisition smarter and more effective. 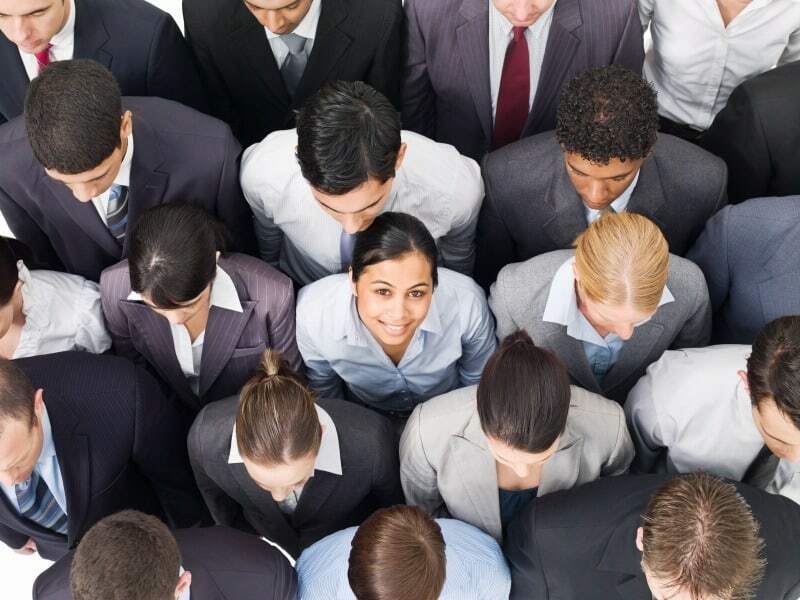 Ultimately, it is how to make a real difference in diversity talent acquisition. Smarter diversity recruiting maps diverse executives at leading target companies. A smarter next-gen approach does more mindful research to pick up on the subtle cues executives provide on their diversity status. Next, a smarter approach elicits details on what would motivate a diverse executive to make a move. It then puts in place a method to manage that diverse passive candidate relationships until the timing and opportunity are right.